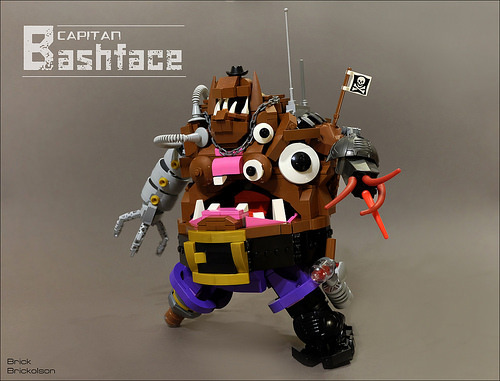 Brick Brickolson has created a beautiful monstrosity in “Captain Bashface”, a mutant Mr. Potato Head pirate look-alike. The asymetry in this build is superb, with no two limbs matching with the main body itself being lopsided. While all the eyes, tentacles, and robot arms are great, my favourite part is that simple but effective belt buckle and the belt build itself. It draws the eye to that wonderful, grotesque mouth.